On a Sunday evening two weeks ago, Assembly of Loving God (ALG) pastors Firos* and Altaf* were visiting an Arab Muslim in his home in the Middle East. The Christians shared the gospel with the man, and his entire household had gathered around, listening intently. As leaders of an underground ALG church** in the area and with families of their own, the men used their ‘spare time’ to engage in personal evangelism and distribute bibles among local Arab Muslims. About 50 former Muslims now met regularly with them for prayer, worship, and learning more about their new and living faith. This particular country has extremely harsh attitudes towards proselytizing, especially attempts to convert Muslims to Christianity. As the men shared the Gospel of Life that Sunday evening, a neighbor noticed the goings-on and informed the imam of the local mosque. Late evening namaz (prayer) was ongoing at the mosque, a requirement called ‘Isha’ [Muslims are supposed to perform namaz five times per day, with Isha being the fifth—Ed.]. When Isha ended and the people learned of the evangelical activity in their neighborhood, an angry mob formed under the leadership of the imam. They armed themselves with a variety of weapons and headed to the home. Bursting in on the family, they brutally attacked the evangelists. They dragged the pastors to their mosque, tied them to a pillar, and kept up the beating. Firos and Altaf clutched their bibles to their chests, but the mob snatched them away. Shouting and laughing wildly, they set the men’s bibles on fire. The imam told the pastors to leave Jesus and come back to Islam, offering them a number of official state positions if they agreed. *** But they turned down his appeals. "Jesus is our Lord and Savior,” they bravely declared. “He saved us from the sin and death we knew and experienced in our own lives. Now we are new creations in HIM. You may kill our flesh, but we will have an everlasting life with our Savior in Heaven. So we will never lose our faith in Jesus, no matter what happens." This provoked the people even further. They dragged the men to a cellar and abandoned them there for three days, without even a drop of water to drink. But the pastors looked to their Lord. For the entire three days and nights they praised and prayed. Being so with their Lord in Spirit, they didn’t feel any pain, hunger or thirst, nor were even aware of the passing time. After the three days, the mob handed them over to a terrorist group, who threw them into a cellar in another location. For nine days they endured more brutal torture and again, no food or water. They were given dire warnings that unless they return to Islam and join the fight against Christians and Christianity, they would be killed and their bodies hung in a public place. This proved hardly a threat to the pastors. For the sake of Jesus, they knew they could endure any persecution. They personally prepared themselves to die, assured of the greatest high hope of living even closer with Christ. Yesterday (Friday) morning, the terrorists tied the men’s hands behind their backs and took them out into an open area. Midday approached and temperatures soared. They told the pastors to kneel down. When they did, they tied their legs together as well. Two men stood behind the kneeling pastors, wielding razor-sharp blades. The killers tried to cover the Christians’ faces, but someone told them not to bother. ‘Let them see and experience even more fear as they are being executed,’ they explained. Instead, the pastors looked to their Lord. They watched in amazement as a cloud formed overhead and they began sensing a refreshing coolness. Within the cloud, they saw Jesus seated on a throne! Thousands of angels surrounded Him. They began praising the Lord joyfully and enthusiastically as they knelt under the shadow of His Presence and the cloud-like formation of angels around Him. The killers, now even more determined due to the men’s praises [we’re fairly certain no one but the pastors saw the spiritual reality—Ed. ], brandished their knives over the men’s necks. But as they prepared to bring down the blades, both they and their weapons unexpectedly fell to the ground. Fear gripped onlookers as they heard the pastors’ loudly praising their Lord, and only intensified as they watched the would-be assassins fall over, helpless and disarmed. The evangelists then witnessed rays of fire emanate from Jesus and down through the cloud towards the witnesses of the ‘execution’. Overcome with terror and the now-extreme heat, the crowd fled. Somehow the pastors’ legs and hands were then loosed. Instead of standing up, however, they remained on their knees, praising and thanking their mighty Savior. Both then observed two angels appear, and felt themselves being lifted up. The next thing they knew, they were standing in front of a house. They heard sounds of praise and worship from within the home, so they knocked on the door. A man came and opened the door slightly to have a somewhat fearful peek. When he saw the pastors outside he could barely contain his joy, praising the Lord loudly and shouting for the others to come. They were all members of the men’s own church … in the midst of prayer and fasting for their pastors’ immediate release! Adding to the miraculousness of this story, this was not the location the church had been meeting in before the abduction. Soon after the pastors disappeared, worshippers had noticed several suspicious-looking characters watching the home they’d been meeting in. Concerned, they moved their ‘church’ to a place many miles away. Since they had lost their leadership, some elder believers now led services, which was what was going on when the pastors ‘reappeared’. But the pastors of course had no idea their congregation had moved. Our Lord of course knew, and He Himself arranged and rearranged everything according to His purposes. While the underground believers’ Friday prayer and fasting session would have normally drawn to a close by 3:00 p.m., this one continued many more hours, on into the night. Both pastors’ wives and children had been sick with desperation when the men disappeared two weeks ago. Now of course they, and all who gather with them, are overjoyed. Please pray for both families, and the believers who meet with them. The pastors want to specially thank all who have been praying for them, and know that it is only because of prayer that our Lord so mightily intervened. *** We can’t know if this was a deception to tempt the pastors, or if the imam did have the authority to offer the positions since many religious leaders in the Middle East do have high influence in government. WE VALUE YOUR COMMENTS! Just click here or on the ‘Comment(s)’ text below. Wait a few seconds, and a very light-framed box will open. Once you have typed your comment, you do not need to enter your real name or any other details, and may comment as a guest without ‘logging in’. Al Bilal*, a fanatic Muslim, had long been an active member of his local mosque in a Middle Eastern kingdom. While studying at university, a Christian friend—who also happened to be the son of a Bibles for Mideast evangelist—gave him a sample gospel. As a courtesy to the friend he read it, but didn’t believe a word. Not long after, Jesus surprised him by appearing before him in a vision. Bilal managed to find the gospel tract again, and contacted the number printed on it. A Bibles for Mideast pastor answered the call, and shared the message of the gospel clearly with him. He didn’t need much convincing to accept Jesus as his personal savior and Lord, and soon afterwards made a full commitment to Christianity through baptism. Being highly educated both academically and in Islam, Bilal’s community had tremendous respect for him. But on his embrace of Christianity his parents, relatives and community leaders desperately wanted him back in the Islamic fold. Bilal boldly held to his precious new faith. The angered community eventually excommunicated him from the mosque. Each and every one—his family included—came to consider him a dangerous enemy. Bilal began going to a deserted area around midnight each night. He would kneel down in the sand, alone before his Lord, and for nearly two hours would pray and praise in the Spirit. Some young people, under the leadership of Bilal’s first cousin Sulfiker*, began formulating a plan to kill him. They first found out where and when he headed for his nightly prayers. Then, armed with steel rods and sharp knives, they snuck out after him one night and prepared to lunge. But angels of the Lord surrounded Bilal, and fought back the attackers. In absolute terror, Sulfi and his gang took off in all directions. Bilal however remained so engrossed in his time with the Lord he didn’t even notice the commotion! As Sulfiker bolted away, he suddenly fell into a deep pit. He broke both his hands and legs in the fall, so of course could then barely move, let alone climb out. As his time of prayer and praise ended, Bilal stood and shook the sand from his knees. He then felt the Holy Spirit leading him to the pit his cousin had fallen in to. He could see immediately Sulfi needed help getting out, so climbed down and managed to get the young man mounted on his shoulders. Sulfi thought his cousin must be furious with him. “Don’t kill me!” he screamed. Bilal dragged and pulled him from the pit and administered some first aid. He also prayed for his cousin. He then took him to his home, and from there to the hospital. Sulfi remained in hospital several weeks, with Bilal almost constantly by his side. When the time seemed right, he shared the gospel message with his injured cousin. Sulfi then blurted out all that had happened the night of his fall. Embarrassed and overwhelmed, he confessed his sins and accepted Jesus Christ as his personal savior and Lord. Sulfi’s friends—the fellow-attackers—also visited him in the hospital. They had obviously been just as terrified seeing and experiencing the mighty, fighting angels. When Sulfi shared with them the salvation available and possible in Jesus Christ alone, they likewise needed little convincing and joined him in praying to accept Jesus into their hearts and lives. All have now been excommunicated from their mosque and face severe persecution. They also all secretly attend worship services in an underground ALG Church and work for the Lord through Bibles for Mideast. Please pray for them and all other ministers and ministries of Bibles for Mideast! We so appreciate and need your prayerful support. Islamic teacher Davood* worked for years training children in the Koran at a religious school attached to a mosque in Africa. One day, he discovered a student with a gospel tract. Infuriated, he demanded to know where the fellow had gotten it. Someone had handed it to him as he walked to school, the boy explained. Snatching the leaflet from him, Davood warned him to never accept such foolish writings from anyone ever again. But he held onto the tract, intending to show it to the mosque’s religious leaders. They absolutely must find out who was distributing the literature and, if he had anything to say about, punish them severely. Since he wasn’t able to meet any of the leaders when school finished, he headed back to his home. Getting ready for bed that night, he again noticed the tract. He might as well see what nonsense they were writing, he figured, and read it through. When he got to the part about there being “salvation in no one else, for there is no other name under heaven given to people by which we must be saved” something—he wasn’t sure what—struck him and stuck in his mind. That night Jesus—whom Muslims recognize as a great prophet and messenger of God—came to him in a dream. As morning dawned the Muslim man had another look at the gospel tract, and finding a contact number on the back, called it. Pastor Musthafa with Bibles for Mideast in Africa answered [an earlier story about Pastor Musthafa here: The storms of heaven in Africa: punishment for some, salvation for others]. Soon Davood had many of his questions answered and was led in a prayer to accept Jesus as his personal Savior and Lord. Meanwhile, in another part of Africa, young Minoo* lived with her parents, seven sisters and four brothers in a poor but fanatically Islamic household. Because of the heavy labor and intermingling with other workers, she contracted HIV, which developed into full-blown AIDS several years later. “I was in severe pain, but doctors refused to treat me,” she remembers. “My friends and relatives were also afraid to visit me.” With no medical treatment, other members of her family also contracted HIV, and then all were infected by the Ebola virus when it later raged though West Africa. With neighbors refusing to visit or help in any way, and with little to eat and drink, the family began to waste away physically and emotionally. Minoo decided to put an end to her misery. “I collected some poisonous fruits to end my life,” she explains, but her attempt failed. Pastors and workers with Bibles for Mideast learned of the sad and dying family, and, ignoring the warnings of others in the community, brought them food and clothes. They also fasted and prayed for three days for the family. “The Lord Jesus revealed to us to visit the family and pray for them,” Pastor Paul explains, so he and Pastor Musthafa visited, bringing more food and clothes. When neighbors reiterated the warnings of certain death if they went in the home, they stood firm. The pastors found the family to be “like skeleton people,” Pastor Paul recalls. The men knelt down in the power of the Holy Spirit, while some family members gathered in front of them. Minoo and several others lay on their beds, unable to get up. aS hE DID THEN, HE DOES NOW! When the pastors began praying, “the power of Jesus’ victorious life-giving blood poured out on each in the family like electricity,” Pastor Paul recounts. Screaming, Minoo jumped to her feet and began dancing around. “Glory to Jesus!” she cried, praising and thanking the Lord. Others stood to their feet, all experiencing the almighty awesomeness of God. They then knelt in His powerful Presence. The pastors shared the gospel with them, and each accepted the Lord Jesus as personal Savior and Lord. Within days they had recovered their physical health, and grown leaps and bounds spiritually. But new trials began. The Muslim community they lived in insisted they reject their faith in Jesus as Savior, but with new-found strength and boldness, they held on. One night some radical neighbors set fire to their house, intending to kill all of them. The family managed to escape, and fled the region. Minoo’s strong desire for higher studies finally found fulfillment as she went deep into the Word of God, and with the help of Bibles for Mideast, went on to university. Before going, she began preparing for baptism with, unknown to her, her future husband—yes, Davood!—as a fellow candidate. They were baptized together by Pastor Musthafa, but only later, while studying at the same university, did they get to really know each other and fall in love. Davood learned of her unfortunate past but did not let that get in the way of his desire to marry her. Pastor Paul officiated at their marriage and now, several years later, they have a young girl and infant boy. They lead an underground church, as well as evangelize Muslims in their area and distribute bibles. Please pray God’s protection, provision and guidance for this young couple, their church and their ministry … as well as for the ministry of Bibles for Mideast as a whole. Minoo Hussain reported several earlier stories for us: The storms of heaven in Africa: punishment for some, salvation for others; and God restores and redeems: an astounding update of attack on the African church. The strong opinion voiced in our title comes from a man who understands the ‘system of Islam’ better than most. A pioneer missionary in and to some of the worst war zones in the world, Dr. Peter Hammond was born and raised in Africa. For 35 years he has served persecuted churches and pioneered evangelistic outreaches into Mozambique, Angola, Rwanda, Congo and Nigeria. Peter has smuggled in and distributed hundreds of thousands of Bibles, New Testaments and Christian books into Muslim and communist nations, as well as helping establish over 100 Christian schools and numerous Bible colleges throughout Africa. Beaten by mobs, stabbed, shot at, arrested, ambushed, come under aerial and artillery bombardment, imprisoned and tortured for Christ—he is one of our heroes and will surely go into the history books as a soldier of our faith. 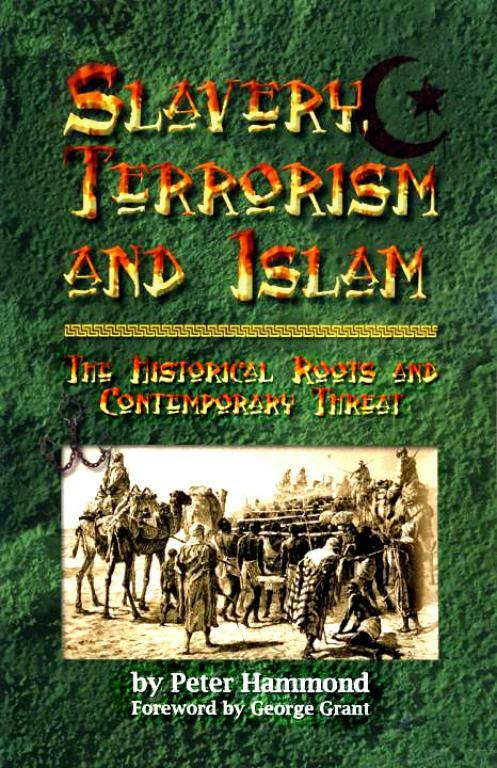 “Islam has religious, legal, political, economic, social, and military components,” he writes in his most famous and controversial book, Slavery, Terrorism and Islam. What he refers to as the ‘Islamization’ of a society begins when the population of Muslims reaches a critical mass, and they then being to agitate for various privileges. “When politically correct, tolerant, and culturally diverse societies agree to Muslim demands for their religious privileges, some of the other components tend to creep in as well,” he notes. You can see how it works, according to Dr. Hammond, by looking at the percentage of Muslims in a particular country. We have updated his statistics and moved the countries around a bit to fit current available estimates. 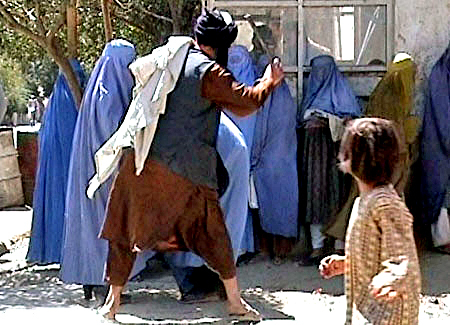 The violence increases when the Muslim population reaches 20%. After that, “nations can expect hair-trigger rioting, jihad militia formations, sporadic killings, and the burnings of Christian churches and Jewish synagogues,” such as in Ethiopia (34% Muslim). Obviously the ‘Islamic ideal’ can never be realized. In countries at or near 100% Muslim population, “the most radical Muslims intimidate and spew hatred, and satisfy their blood lust by killing less radical Muslims, for a variety of reasons,” observes Dr. Hammond. Dr. Hammond is also concerned by demographic trends, and the Muslim population has grown dramatically since he wrote his book. Estimates vary, but as of 2015, the Pew Research Center estimates there to be about 1.8 billion Muslims in the world; nearly one-fourth of the world’s population today. Since their birth rates dwarf the birth rates of Christians, Hindus, Buddhists, Jews, and all other believers, all predictions have Muslims exceeding 50% of the world’s population by the end of this century. Dr. Peter Hammond is the Founder of Frontline Fellowship, the Reformation Society, Africa Christian Action and the William Carey Bible Institute. His other books include: In the Killing Fields of Mozambique, Holocaust In Rwanda, Faith Under Fire in Sudan, Putting Feet to your Faith, The Greatest Century of Missions, Practical Discipleship, Answering Skeptics, The Power of Prayer Handbook, Biblical Principles for Africa and Victorious Christians who Changed the World. MOST IMPORTANTLY, let's not forget the Good News! Like here: Conversions in the millions: Muslims tasting the love of Jesus and embracing Christianity all over the globe, and many other places on this site and others. We know who wins in the end. For years, Zakkir* and his father lived to uphold the many religious rules governing their 100% Muslim country, one of the strictest in the Middle East. They followed Islamic ritual practices fanatically, and if they witnessed anything or anyone ‘out of order’, had no compunctions about resorting to violence. While Zakkir’s father served in the often-merciless Islamic religious force known as Muttawa, his son headed up an outlaw gang of angry young militants. All were fully committed to punishing anyone daring to defy the stern laws and practices of Islam. “If anyone passed along the road by the mosque at the time of Namaz [Islamic prayer], our gang would stop and brutally beat them for not attending,” Zakkir explains. One day, he noticed some Christians distributing sample gospels and, he says, trying to convert several Muslims. The gang determined to put a stop to the evangelical activities. “We attacked their office,” Zakkir relates, “and killed three of them.” Pleased with themselves, the men were jubilant when they discovered later that the ‘infidels’ had also been secretly translating bibles into Arabic. Soon they were back at their post, stopping those passing by the mosque at the time of Friday prayer, insisting they come in. They pulled over one man in the midst of rushing his sick child to hospital, and refused to take even that as an excuse. “I dragged him out of the car myself,” Zakkir confesses. But as he did, the distraught father grabbed a gun from his glove compartment and fired off three shots directly into his assailant’s chest. Zakkir fell to the ground, and the man jumped back into his car and drove off. The young militant’s friends sped him to the hospital. Surgeons managed to remove only two of the bullets, deciding that taking out the third, lodged in a dangerous position in his chest, would mean certain death. He remained in a coma for several days, and doctors gave up hope for his recovery. Friends and relatives who had been by his hospital bed from the beginning gave up as well, leaving him alone in the hospital to die. Bibles for Mideast director Pastor Paul ‘just happened’ to be visiting the country with several other missionaries at the time. In prayer for their mission, he received clear instructions about Zakkir and his condition in a vision, even though the two had never met. He, Pastor Rahim* and two other evangelists headed off to the hospital, found Zakkir’s room, and began to pray over his comatose body. “At this moment,” the militant remembers vividly, “I had a dream that Jesus Christ came to me and said, ‘I am your Lord and Savior, I have been wounded for you, and by my stripes you are healed. I choose you as one of my vessels to bring many to my fold.’"
He says the Lord then touched his wounds with His own nail-scarred hands. “Suddenly, the remaining bullet jumped from my chest automatically, as I felt new blood flow through my veins!” He opened his eyes to see four people praying over him. “I thought they were angels of the Lord,” he says. Pastor Paul made clear they were simply servants of the Lord Jesus Christ, and that they’d been given instructions to come and pray for him. He also explained to him the way of salvation. “He is the author of life, believe in Him and you will be saved." Zakkir hardly needed convincing. He got up, accepted Jesus as his Lord and savior, and surrendered his life to the Lord of Life. The missionaries helped him into his ‘new clothes’, and then secretly whisked him away. “No one knew about my escape with the pastors,” he explains. As only Jesus could work it, Zakkir now heads up an underground Bibles for Mideast affiliated church in his country. Please pray for Zakkir and the Christian colleagues he lives with as they work to spread the Kingdom of Jesus in a dark and restrictive kingdom of this world. (Nov. 19, 2016) The house of six women working with Bibles for Mideast was fire-bombed by Muslim militants in the Middle East yesterday evening, with two seriously injured. Ramza, a young woman featured in a story here last July (Muslim father kills daughter; Jesus raises her from the dead), managed to miraculously escape with only minor injuries. The six women lived and worked together, evangelizing and distributing bibles to local women, as well as working for their livelihood as farm laborers. After their evening prayers, the women had gone to bed. Not long after, they awakened to a terrifying noise and saw their house burning around them. They screamed and attempted to escape. But men armed with guns stood at their door. “People living nearby managed to reach our house with weapons, and the attackers finally left,” Saleeha said. “Five to seven attackers had come to kill us. They came by motor bikes. But our Lord Jesus Christ protected our lives,” she added. “Christ Jesus is our mighty Savior and Lord!” Ramza added. “He is able to keep us safe. Whether we live or die, we belong to him.” As someone who had already experienced death at her own father’s hands, and been resurrected by Jesus, she certainly understood better than most of us the truth of her words. The injured women were hospitalized, and the others moved to a different location. Please pray for them. 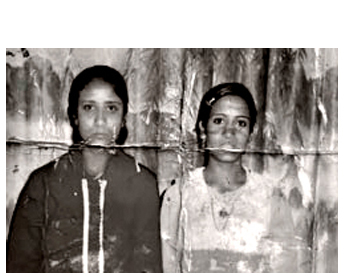 Five years ago, sisters Arifa, 17, and Akhtar, 19, were kidnapped and gunned down by Lashkar-e-Taiba, a Pakistan-based Islamic militant terrorist group in Indian-controlled northern Kashmir, bordering Pakistan. 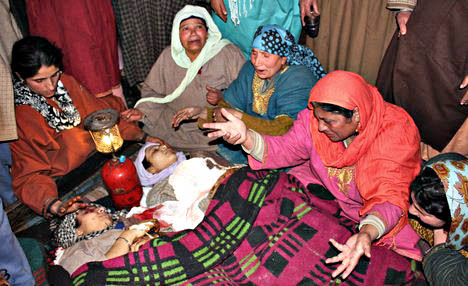 The victims were the daughters of Gulam Nabi Dar, a salesman at a government ration shop. The girls did embroidery work and attended classes to learn to read and write at an adult education center run by an underground Bibles for Mideast outreach ministry. Though Muslims, the sisters believed in Jesus Christ, attended prayer services and had begun to read the New Testament. Pastor Paul, Director of Bibles for Mideast and himself a convert from Islam, had visited the small community where the girls lived and shared his own story along with the message of the gospel. After the message, Arifa and Akhtar read Isaiah 53 together, declared their faith in Jesus Christ, and accepted Him as their Savior and Lord. The very next evening militants barged into their home and forcibly took the girls. The terrorists may well have come to know about the underground ministries in the area and the young women’s involvement. Their bullet-riddled bodies were later found some distance away from their home. One had been shot in the left eye. The teens’ family lived in two rooms, and their father had not yet come home from work when the assault happened. Police sources say the gunmen managed to escape under cover of darkness. When the incident happened, two other women—aunts of the Arifa and Akhtar—were there, along with their younger brother and a young female relative who had come to visit the family. The women raised an alarm and ran after the gunmen, but stopped when the militants began threatening them. Their elder brother lived in another village with a maternal uncle. After the invasion and murder, local missionary Pastor Idris and his assistant were attacked with steel pipes, the pastor’s legs being broken. Pastor Paul and his family also suffered three brutal assaults and threats on their lives. Lashkar-e-Taiba, or the 'Army of the Righteous', aim to create an Islamic state in South Asia and to ‘liberate’ Muslims in Indian-controlled Kashmir. India has identified the group as the alleged masterminds behind the 2008 terror attack on the Indian financial capital of Mumbai that killed 166 people. Three terrorists belonging to the gang that abducted Indian priest Father Tom Uzhunnalil and killed 16 people at a seniors' home of Mother Teresa’s Missionaries of Charity in Aden in Yemen have been reportedly arrested in the war-torn nation. Father Tom is an Indian Salesian missionary priest of the Catholic Church. India's External Affairs Ministry has confirmed the arrest of militants, Bibles for Mideast missionaries reported today, on Friday, 29 July. However, it is still not known where the priest is and when he can be safely brought back to India. The terrorists were caught in Saila, near Aden in Yemen and reportedly said that they belong to Al-Qaeda. It was earlier said that they belonged to ISIS, but this has not been confirmed. It was on 4th of March that armed terrorists barged into a seniors' home run by the Missionaries of Charity and shot dead 16 people, including four Indian nuns. These militants later whisked away Father Uzhunnalil and said they would crucify him on Good Friday. A spokesperson with External Affairs has reported he is safe. The gang which announced that they were behind the attack did not reveal any details about Father Tom, whose whereabouts are still not clear. They had recently posted pictures of the priest on his Facebook account. It is not known whether these are true or not, or how they accessed his account. (June 20, 2016) The last three stories in the Bibles for Mideast website have built to this astonishing Book of Acts conclusion. As reported earlier: That article included a call to 100 hours of concerted prayer and fasting for the missionaries’ release, as well as for other serious global needs. 3. The missionaries aren’t safe in hospital and are abducted by terrorists as they try to return home. All praise and glory to the Father, Son and Holy Spirit! Mere words cannot express our thanks and praise to our Lord Jesus Christ for His unspeakable grace and gifts. He is our Wonderful Counselor. He always hears and cares for His children. Today we praise and thank Him for the miraculous rescue of abducted Bibles for Mideast missionaries Stephan, Samuel and James. We thank every prayer warrior fasting and praying for them around the globe. The Lord brought the three men safely back to us this evening. They are extremely tired and weak because of the stress, lack of food and sleep, and a long walk through the desert. When we saw them, we all embraced and wept together, praising our Lord. “After the worship service and Lord’s Supper, we were going back home. On the way we met somebody who smiled at us and said ‘Assalamu Alaikkum,’ which means ‘peace be with you’. We replied, and got an opportunity to speak about real peace, and the Prince of Peace, Jesus Christ. We explained to him using Bible verses about the Lord’s birth, life, ministries, crucifixion and resurrection … and the need for salvation for everyone. Accepting Him as savior and Lord is real peace, freedom and the way to heaven, we told him. 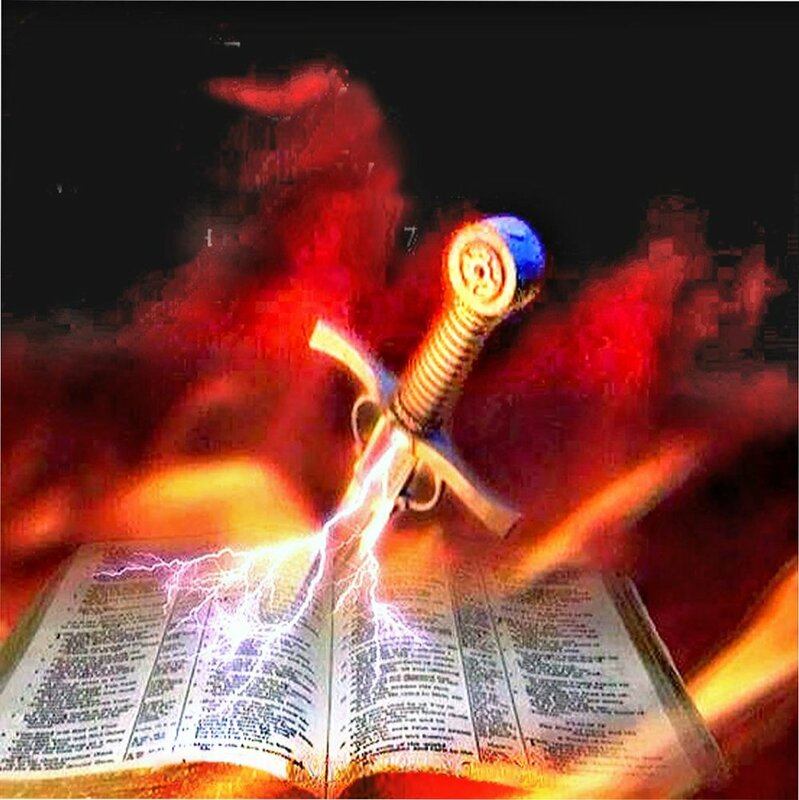 “All at once, several extremists jumped out at us with sticks and iron pipes, took the Bible from our hands by force, tore it up and threw it away. We consider the Bible precious for our life, so we begged to have it back. At that point one of them started beating us, others shouted ‘Kill them, kill them!’ They all then began beating us and shouting ‘Allahu Akbar’ [an Arabic phrase translated directly as ‘Allah is Greater’ but often mistranslated as ‘God is great’—Ed.]. “A bus driving by immediately stopped, and the travellers jumped out and attacked the extremists and rescued us. They then brought us, in the bus, to the hospital and had us admitted. James was the most seriously injured. “While in the hospital we sensed unusual movement, that someone was against us. So we asked the doctors to discharge us from the hospital. 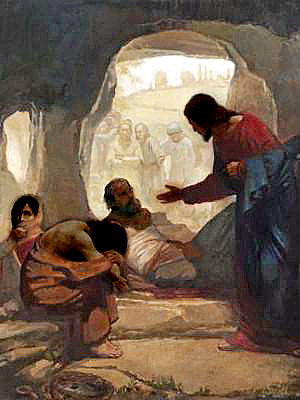 Though Brother James was not yet well enough to walk properly, we did not want to leave him alone at the hospital. He also wanted us to take him with us. So we helped him leave as well. “We hired a taxi. It was a fake taxi. There were two other passengers also inside the taxi. As soon as the car started moving, they took out a revolver and pointed it at us. At gunpoint, they asked us many questions about our ministries and its workers. When we started screaming loudly, they tied our mouths and hands, and assaulted our heads and faces. They accused us of propagating western religion. They said we have no right to live any more on earth, and that we would be killed. Then they blindfolded us. “About three hours passed. They took us to some other people, who we suppose were the leaders of the group. They also shouted at and assaulted us. When we fell to the ground, they kept attacking us savagely. Finally, they locked us up in a cellar. There they untied our eyes, mouths and hands and locked the door. “The cellar had a bad smell, reeking of dead bodies and human waste. We could see blood marks on the wall. There were no windows or ventilation, only one small door. We were sure death was near. “We called upon our Lord Jesus. We held hands and prayed for our Lord’s will to be done; and also for the salvation of those who had attacked, abducted, assaulted and put us into the cellar. We asked the Lord to make them His witnesses. For hours and hours we prayed. We could not sleep. We did not get any food or water. We were not aware of the day and the night. And it was so hot in that cellar. But God gave us courage to remain faithful. We were surprised that we did not ever feel the need to pass urine or have bowel movements. Our Lord protected us. “After maybe three or four days, we clearly felt our Lord’s presence in that cellar. A bright light flooded the room. We could smell costly perfume. We began praising and worshipping the Lord. While we prayed, we felt oil being applied to our bodies. At first we wondered whether the terrorists were doing it before taking us out for execution. But then we realized nobody else was with us! Our Lord had done it. By the anointing of the oil, all of our outer and inner injuries were healed. “While we prayed, we noticed a small creature going through a small hole in the wall. We found a nail and used it to try to make the hole bigger. We thought maybe this would be a way to escape, so we dug deeper and further. And finally, we saw a small opening to a narrow passage. “We praised the Lord and, one by one, entered the passage. We travelled in darkness for maybe 100 meters. We were haunted by the fear of enemies with guns, of snakes, of wild creatures, but an unspoken courage guided us. The passage ended at the desert, which is outside of the terrorists’ main compound. The men trudged through the hot desert sun and blowing sand for hours, with temperatures over 45°C (113 °F). The next morning, clouds sheltered them some from the excessive heat. They decided to rest under the moonlight the second night, sleeping three or four hours. While sleeping, all three had the same dream (or was it a vision? ): that the Lord’s angels came and fed them with appetizing food. The next morning, 42 hours after their escape, the men followed their bird guide up to a house they did not recognize, and watched in wonder as it stopped to peck on the door of the home. Somewhat fearful at who might open it, all were astonished to see the equally overwhelmed faces of their fellow Bibles for Mideast missionaries. All embraced in joyful amazement, praising and thanking our miracle-working Lord. When they attempted to point out the bird that had guided them, it had vanished. We value your support, especially your prayers, and could not keep going without it. If you would like to support the ministry of Bibles for Mideast in any way, please use our CONTACT form. May God bless, encourage and guide you in all your ways. Three young missionaries with Bibles for Mideast were abducted by Islamic terrorists on Tuesday, June 14 in the Middle East. Two are pastors, Stephan (32) and Samuel (29), and the third is evangelist James (30). While on their way back from services on Sunday, the same men had been brutally attacked by a group of militants. As reported earlier, the three missionaries—themselves converts from Islam—had been simply trying to witness to someone on their way back from the services when assaulted (earlier stories here: 12 Arabs in Middle East newly-baptized! and Bibles for Mideast missionaries brutally attacked; one in critical condition). While in hospital the men felt ill-at-ease, sensing extremists were somehow spying on them. So, feeling unsafe, they asked medical staff to discharge them. They then hired a cab to take them home. But before climbing in, they called Pastor Paul, Director of Bibles for Mideast, to let him know their plans, and that they should get to their destination within 45 minutes. They also informed him there were two other passengers already in the taxi (a not uncommon practice since taxis in the area often carry unrelated passengers travelling to nearby destinations, who pay their own separate charges). But they never got home. The taxi turned out to be one of too many ‘imposter taxis’ in the district, and the driver and other passengers in fact terrorists. The whereabouts and health of the missionaries is unknown. Please pray for the abducted missionaries, their families, all the workers and gospel teams of the Bibles for Mideast, our associated house churches and the many new converts—especially those from Islam. Also pray for the attackers and abductors: that they would confess their sins and experience salvation by accepting Jesus Christ as their Lord and Savior. “Jesus gave His life as a ransom for many” (Matt. 20:28). He is able to make any terrorist His witness! Three months ago, a volunteer missionary with Bibles for Mideast was abducted by terrorists in Libya. Please pray for him and his family as we still have no news from the authorities. With the leaders of many ministries in the region, Bibles for Mideast leadership firmly believes millions will be added to the Church in the next few years. Spiritual hunger, disillusionment with the Islamic regime, miracles and of course Jesus himself all work together, buoyed and powered by prayer, to make this possible. We don’t fear death or persecution. We have a great hope in our risen Lord Jesus Christ! Call to 100 hours prayer and fasting: Please join with us! Bibles for Mideast has declared and begun 100 hours fasting and prayer for our Lord’s will to be done with our missionaries abducted by terrorists in the Middle East. All of our Board members, all from our gospel teams and house churches are participating. We will only have pure water until the 100 days are over. We are asking our prayer partners and other children of God around the globe to join us in this time of prayer and fasting in whatever way possible, partially or fully. EXCITING UPDATE: Abducted missionaries miraculously rescued from terrorists in Middle East! (June 13, 2016) Three young Bibles for Mideast missionaries were brutally attacked by a group of Muslim extremists yesterday evening in the Middle East. Returning home after Sunday services, they had stopped to share the gospel with someone standing under a street light. Terrorists jumped from the darkness and beat the men with iron pipes, shouting “Allahu Akbar” and “kill them” in Arabic [‘Allahu Akbar’ is the Arabic phrase which translates directly as ‘Allah is Greater’ but is often mistranslated as ‘God is great’—Ed.]. All men have been hospitalized, one in critical condition. Had it not been for passersby on a bus, the men may well have been killed. Passengers jumped out and fought the attackers, causing them to flee. The travellers then took the three men—Pastors Stephan and Samuel and evangelist named James—to hospital, with James the most critically injured. The Friday before, 12 new believers from five Arab families had been baptized and on the Sunday had been worshipping and celebrating the Lord’s Supper. Abducted missionaries miraculously rescued from terrorists in Middle East! Maheen* had always been an observant Muslim. When given a Bible by a team distributing them in his neighbourhood, he took one, brought it home, but never looked at it. Why should he? He had the Koran. 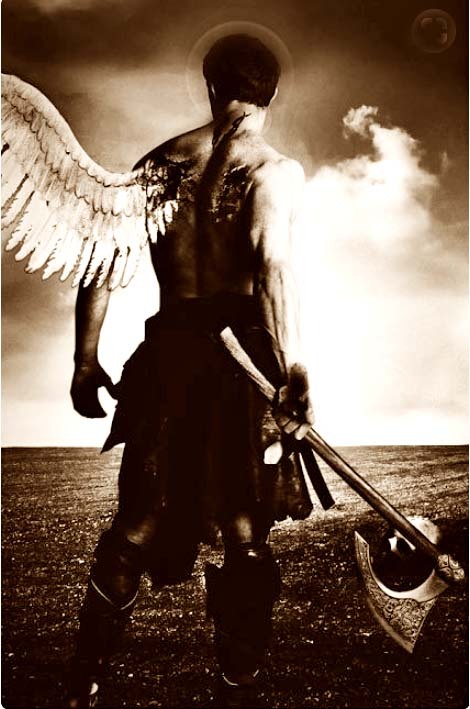 One night while he slept, he says an angel came to him and touched him on the shoulder. “Read Acts 26:23 from the Holy Scripture which you received,” the angel told him. Whether a dream or a vision he wasn’t sure, but it certainly struck him as strange. Too tired to react otherwise, he fell back asleep. Still groggy and half-asleep, Maheen had a hard time trying to process what was going on. So he decided to ignore the unusual occurrence again, and go back to sleep. Maheen bolted out of bed, frantically grabbed his new bible, and began to read from the Book of Acts. The striking visitation, the power of God’s Word, and the Holy Spirit brought Maheen to his knees. He acknowledged his sins before God and accepted Jesus as his Savior and Lord. He became a strong believer in Jesus Christ. As much as he tried to convince his wife Muneera* of her need for salvation, of the importance of reading and meditating on the Bible, the Word of God—she would have none of it. Further complicating the situation were the attitudes of her brother Siddhiq*, an Islamic extremist working nearby in Saudi Arabia. Maheen desperately wanted to be baptized, but waited months, hoping and praying his wife would join him in his new faith and be baptized with him. He finally decided to take the step alone. When Muneera told her brother of the new development, he flew in immediately from Saudi Arabia. He implored Maheen to return to Islam, offering him an outstanding employment opportunity if he’d move to Saudi Arabia. He could even have an immense home and property as part of the deal. "My Lord Jesus is far, far above any of the offers of this world,” Maheen replied. “I may be killed, but I will never deny Jesus, for He is my Lord and Savior, and granted me eternal life." This infuriated Siddhiq. While his sister watched in horror, he joined with others he had traveled with and brutally beat Maheen. They then locked him in a dark room. For 17 days he remained locked away in darkness, without proper food or facilities, and unable even to see his wife. Everyone felt sure Maheen would change his mind and come back to Islam. Instead, he grew stronger in his faith with each passing day. So they decided the only way to save Muneera from her husband would be to kill him. She couldn’t believe it. How could her own brother, her own family, including her own father, even think of killing her husband? So she implored God, the Almighty, to intervene. While praying, she had a vision of heaven and saw the Lord Jesus seated on the throne. And there was Maheen, her husband, at His right hand being held safe, praising Him along with the angels! While she couldn’t understand it, she could see human souls being washed by blood which flowed like a beautiful stream from the heart of Jesus. When she tried to reach out to her husband, she couldn’t even get close. A huge gulf spanned the distance between them. Then she noticed a bridge in the shape of a cross over the gap, but when she tried to go towards it, it was taken back to heaven. Shaken to her core, Muneera began to weep. She took her own step of faith and accepted the Lord Jesus as her Savior. Who else could this be but the savior of humanity? She prayed that Maheen would not be harmed. She then phoned the leader of the team who had been distributing the free bibles and holding the underground worship services Maheen had been attending. She explained to him all that had happened. He explained that he too was a convert from Islam and often faced similar hardships. He arranged to visit the area, meeting up with a group of local believers first, all also converts from Islam. They prayed together, then met with a politician in the region. With his help they were able to secure the assistance of a senior police officer who freed Maheen from the dark room that had been his prison for over two weeks. That same evening, a mob under Siddhiq’s leadership gathered with weapons to attack the church leader. A group of secret believers in Jesus heard of it and Immediately moved him to another house where the terrorists couldn’t find him. The prayers of the children of God certainly moved to save and protect Maheen as well as the Christian leader. Maheen and Muneera now have two children, a boy and a girl. They work with Bibles for Mideast, distributing bibles, Christian literature and helping establishing house churches in their area of the Middle East. “It is a great task,” they explain. “We have to work very secretly. We worship secretly. We collect bibles for distribution also in a secret way. We are in need of support, but we don’t get it.” Both retain secular jobs to earn enough for themselves and the work of their team. Please pray for them! If you feel led to support the work of acquiring and distributing bibles and establishing house churches for new believers, please use the form here.